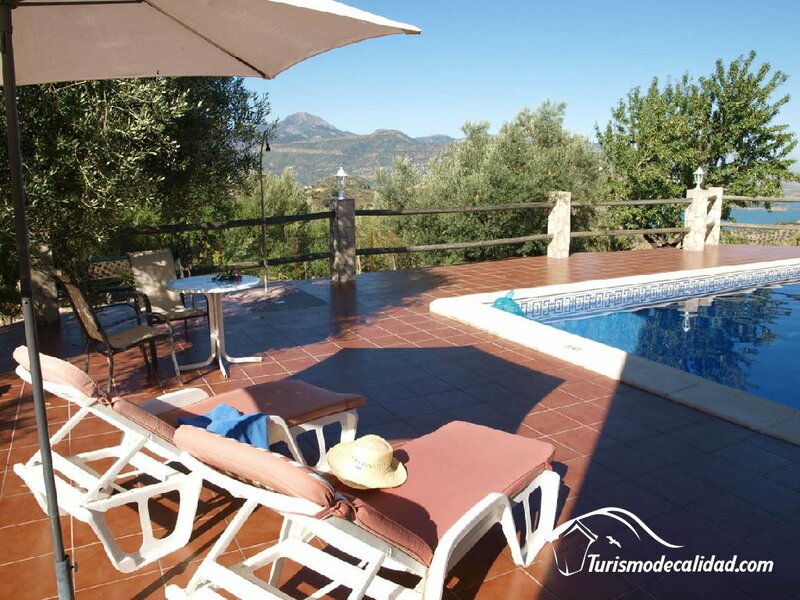 Atalaya de Barrera , is a house built with love for its owners and decorated following a style of the place, it is spacious and intimate and having the advantage of having 2 porches, you decide where to go enjoy it better, it is located in the area called Barreras in the town of El Gastor, has a living room and kitchen with utensils, refrigerator, oven, microwave, washing machine, blender, etc .. .. 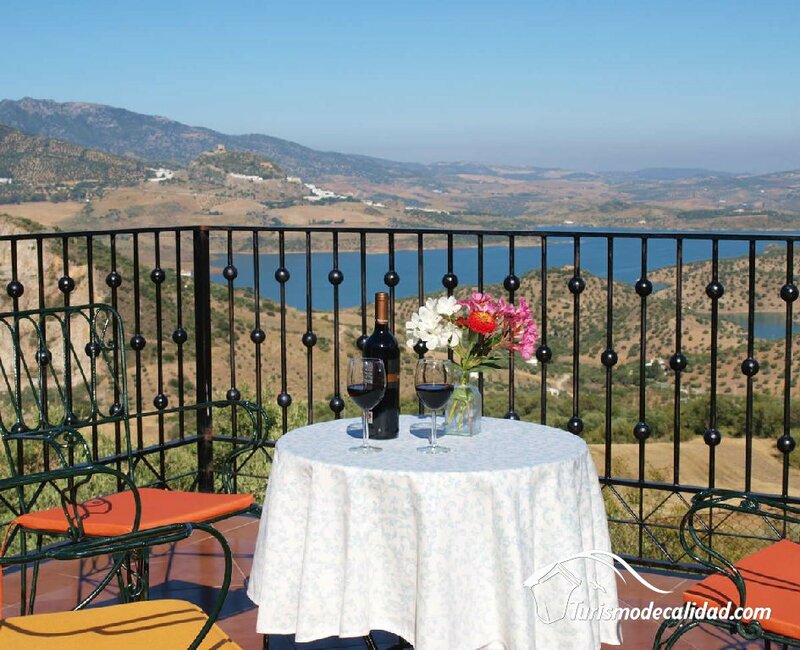 The house has 3 bedrooms in total, on the ground floor are 2 of them and a bathroom, one with a double bed and the other with 2 beds of 90cm, and on the top floor is a new suite construction of 38 square meters , 1 bathroom en-suite and terrace overlooking the artificial lake and the Sierra de Grazalema and the Sierra de Lijar, the living room has a fireplace, 2 outside porches, in the outside there is a pool area and lookout. Also has barbecue and outdoor patio. The wood is charged per night and you can use all that is needed, (only in cold season). Villa , 128 sq. m.